Prepare Ahead Perfect Roast Potatoes. Crispy fluffy roast potatoes, baked in the oven for the most simple yet delicious side dish. Use goose or duck fat for a holiday treat, or make these completely vegetarian/vegan with olive oil. Plus learn how you can prepare them a week before you need them! Save yourself time on the big day with this great make ahead recipe. Perfect for Thanksgiving, Christmas or Easter. 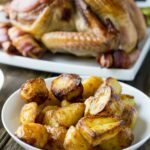 Crispy fluffy roast potatoes that you can prepare a week before you need them! That is a winner in my book!!! Think about it, that is one less dish to prepare on Thanksgiving and no peeling potatoes on Christmas morning. All the effort is done in advance meaning you can spend more time with the people you love. Woo Hoo. Under a week until Christmas. I love Christmas!!! It has been over 400 days since the fire and we have the most beautiful family home again. There was champagne and a lot of excitement that we would be in for Christmas. But this week we made the big decision that we will not move home for Christmas. The house is finished and yes we have the keys, but it is still bare plaster and concrete floors. At first I thought it would be fine, but I took the boys in when we got the keys, and within minutes they were covered in white dust. I knew then, that no matter how much I cleaned (which I am so so good at!!!) the house would never be free from dirt and dust. So we have extended our rent for another month and we are busy painting and the floor is going down after Christmas. When I say we, I mostly mean Stew as the boys can only sit quietly for so long before they need something. So Christmas dinner will be in the tiny rental kitchen. 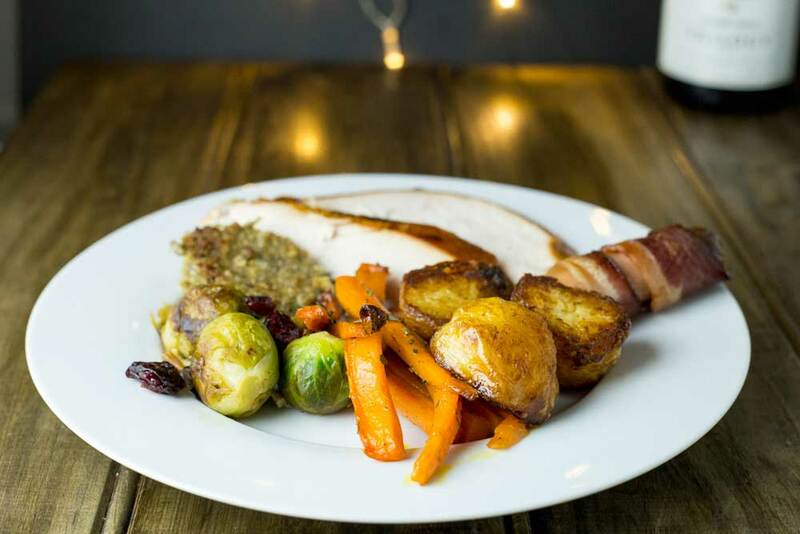 Which is all good as we having a wonderful summery Christmas dinner this year, plenty of seafood, some wonderful salads, fresh bread, a fillet of beef and of course potatoes. You know I love potatoes 🙂 I have a whole collection of potatoes recipes! But this is Christmas and there has to be roast potatoes. Even though we aren’t having another turkey, there needs to be roast potatoes on Christmas day! 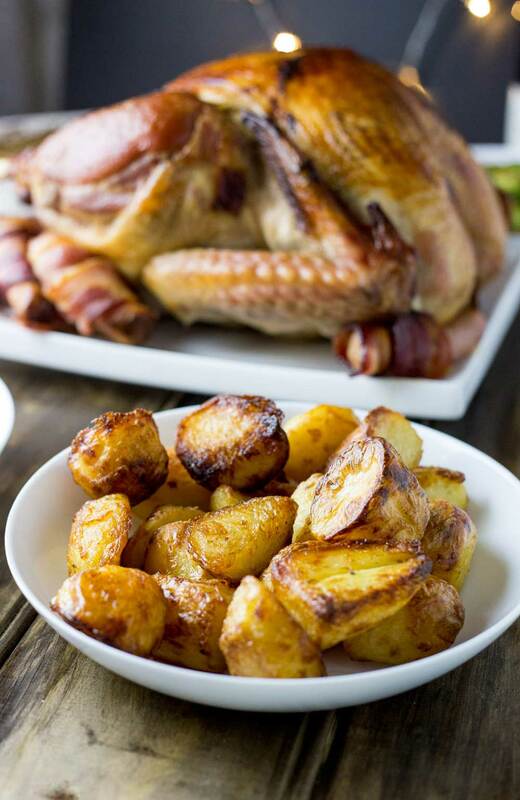 When I cooked my full Christmas dinner, so I could show you my Slow Roast Turkey, I made these potatoes, and today I am going to show you how to get these ready in advance. I have my batch in the freezer ready for Christmas day! They are crispy on the outside and fluffy on the inside. You can cook these from frozen!!! Just like the ones you buy in store but all made at home! 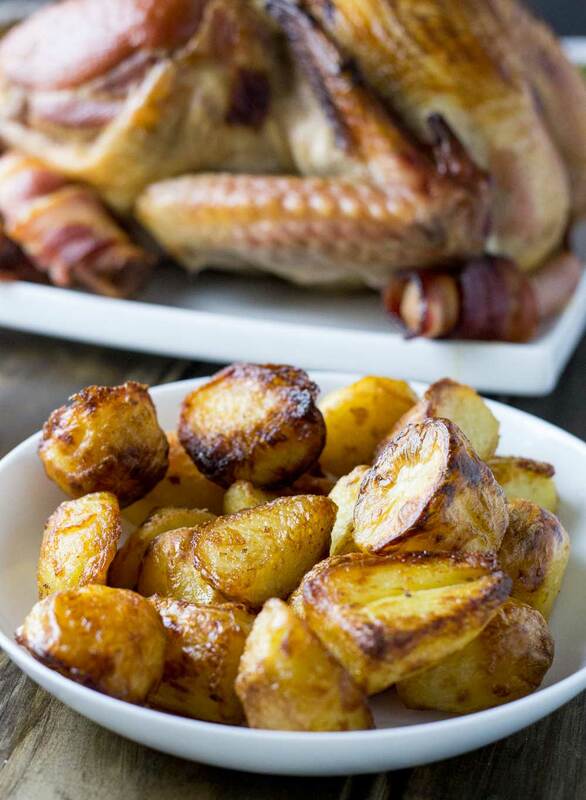 Why not pin this recipe for Prepare Ahead Roast Potatoes. Pin it here. Prepare Ahead Perfect Roast Potatoes. Crispy fluffy roast potatoes, baked in the oven for the most simple yet delicious side dish. Use goose or duck fat for a holiday treat, or make these completely vegetarian/vegan with olive oil. Plus learn how you can prepare a week before you need them! Save yourself time on the big day with this great make ahead recipe. 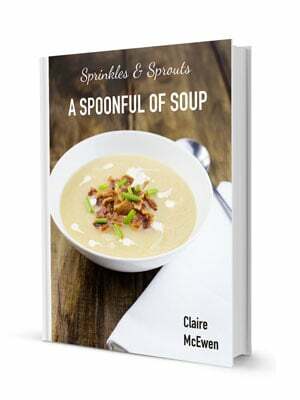 Perfect for Thanksgiving, Christmas or Easter. Place a large pan of water in the hob and bring it to the boil. Add your salt and potatoes. Cook the potatoes for 10 minutes. Drain the potatoes. You want to ensure they are really dry, so leave them to stand for a while. Return the potatoes to the plan. Place on the lid and give the pan a good shake. You want the edges of the potatoes to get a slight bashed up fluffy look. At this point you can freeze your potatoes (AND cook them later from frozen!) To do this line two large baking sheets with cooking paper and spread the potatoes out in a single layer. Ensure they aren't touching. Place the trays into the freezer until the potatoes are frozen. Now you can transfer them to a ziplock bag until needed. Place the baking tray and oil in the oven for 6 minutes. Carefully remove it from the oven and tip in the potatoes. Cook for 30 minutes (if frozen) or 20 minutes if making fresh. Then turn the oven up to 220ºC and roast them for a further 30 minutes until they are all crispy and golden. 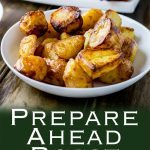 If you love food why not subscribe to my newsletter, I will drop you an email every now and then, just to say hi and send you a couple of recipes I think you might love, like these Prepare Ahead Roast Potatoes. I feel you on the house. we have been living in a tiny rental apartment too while our house closes. I finally pick up the keys today and we can be in by xmas! Hopefully yo get your done soon – I know how hard small apartment can be 🙂 These potatoes look awesome – love that you can make them ahead of time.